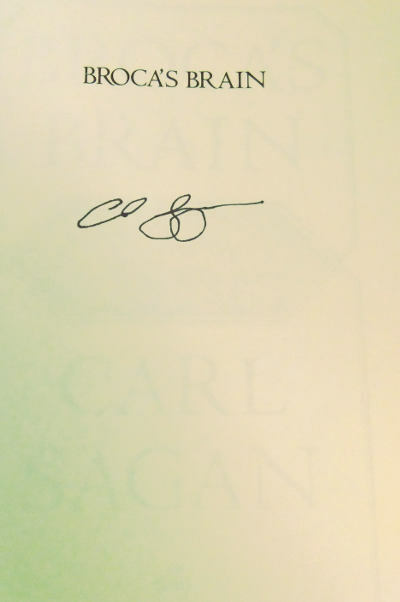 A rare copy signed by eminent scientist Carl Sagan. Publisher: Random House, New York. Most likely 5th printing. Condition: Hardcover, with price-clipped dust jacket. Very good. Small tears to dust jacket. Top edge slightly tanned. Slight signs of wear to book. 347pp., app 9″ by 6″. As long as there have been human beings, we have posed the deep and fundamental questions…If we don’t destroy ourselves, most of us will be around for the answers… By far the most exciting, satisfying and exhilarating time to be alive is the time in which we pass from ignorance to knowledge on these fundamental issues. A major part of the book is devoted to debunking “paradoxers” who either live at the edge of science or are outright charlatans. An example of this is the controversy surrounding Immanuel Velikovsky’s ideas presented in the book Worlds in Collision. Another large part of the book discusses naming conventions for the members of our solar system and their physical features. Sagan also discusses Science fiction at some length. Here, he mentions Robert A. Heinlein as being one of his favorite science fiction authors in his childhood. Near death experiences and their cultural ambiguity is another topic of the essays. 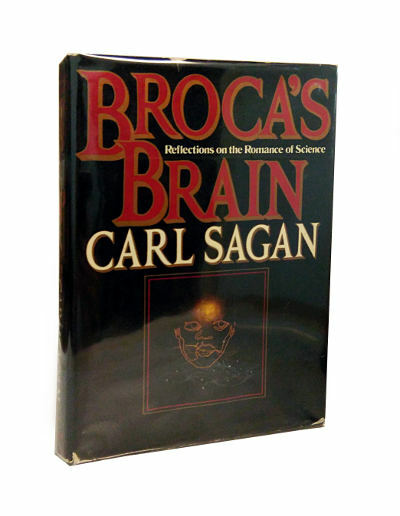 Sagan also criticizes ideas developed in Robert K. G. Temple’s book The Sirius Mystery, published three years earlier in 1975. …My deeply held belief is that if a god of anything like the traditional sort exists, our curiosity and intelligence were provided by such a god…on the other hand if such a god does not exist then our curiosity and intelligence are the essential tools for survival. In either case the enterprise of knowledge is essential for the welfare of the human species.